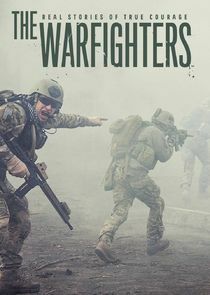 The Warfighters is a bona fide, powerful portrayal of the high-stakes environment that members of the military must operate in and the challenges they face from doing so. Each episode includes intimate interviews, action-packed cinematic sequences and real images and footage from actual operations in Iraq and Afghanistan. The series represents the human experience of war; true stories of heroism, bravery, brotherhood, sacrifice and, above all, honor. U.S. Army Ranger, Trent McDonald, was feeling stagnant when he discovered dog handling and found a new purpose. This is a story of friendship and the unique bond between man and dog.